Back in 2012, Chip took on the dark task of compiling a list of video games that feature werewolves as playable characters. He did this for his wife, who was practically howling at the moon for the chance to play as a lead lycanthrope. The games from this list sated her appetite… for a time. Like so many spooky sequels, this list starts similarly to its predecessor- with a video game about mythological creatures punching each other in the face. 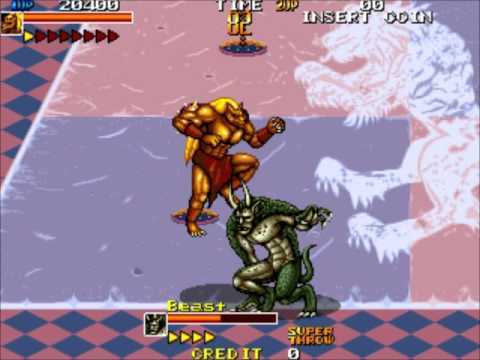 Mutant Fighter is an arcade title from Data East that features various heroes and monsters in an arena-based fighting game. 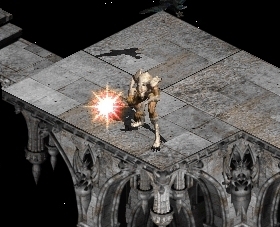 Players have the option of demi-human characters, like the Amazoness or Hercules, or beastly brawlers, like the Minotaur or Golem. One of these fearsome fighters is a golden werewolf who uses a spinning pile-driver for a special move. While we may have missed out on a proper Teen Wolf sports game featuring Michael J. Fox, at least Sega released Basketball Nightmare for the Master System. The game’s protagonist, captain of a local basketball team, starts having strange dreams about playing against supernatural opponents. The monstrous adversaries include teams of vampires, ghostly samurai, and an adorable group of pink werewolves. When Contra made its debut on Sega consoles with Hard Corps, developer Konami made a few changes to the classic action series. 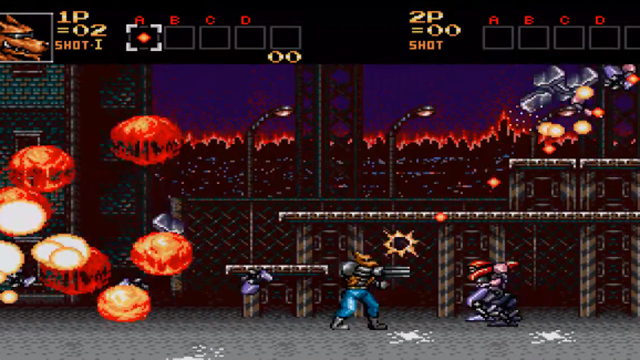 A slide technique was included to the character movements, branching paths were introduced to the storyline, and a cybernetic-freaking-werewolf was added to the list of playable characters. Known as Brad Fang, this wolfen soldier defeats enemies with a psychic cannon and powerful robotic punch. He also wears sunglasses all the time, which is totally badass. As noted by good friend and faithful reader Christian in the last GIMMGP Werewolves article, the Druid class in Diablo 2 has a skill tree completed dedicated to lycanthropy. Since the release of this PC gaming classic, many players have shared walkthroughs to craft character builds that make for ultimate werewolf playthroughs. Chip’s favorite of these builds- FURY WEREWOLF. Laura’s latest television obsession has been the British series Wolfblood. The show centers around teenager Maddy Smith and her family, all of whom can transform into wolves. Known as wolfbloods, the Smith family hides among humans in the small British town of Stoneybridge. The main plot of the series is a mix of high school life and supernatural drama, often focusing on Maddy and her family trying to keep their wolfblood nature a secret, despite numerous forces working against them. The show is well-made and in spite of some clichéd young adult story elements, Wolfblood is a series worth watching. 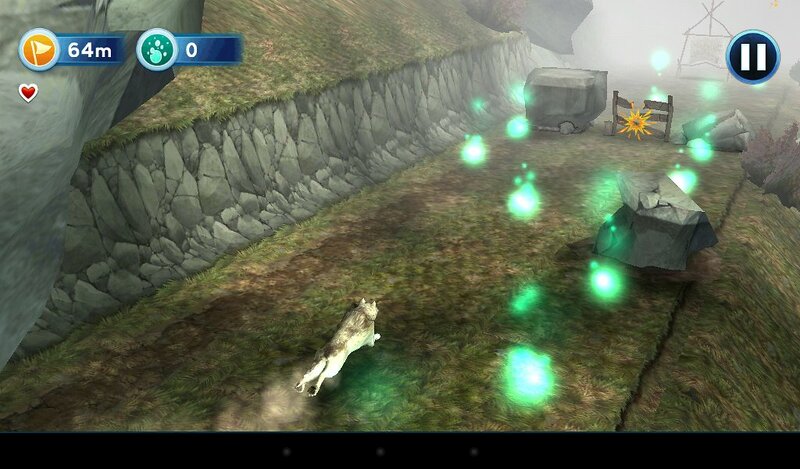 A mobile game tie-in called Shadow Runners has been released on iPad and Android devices. 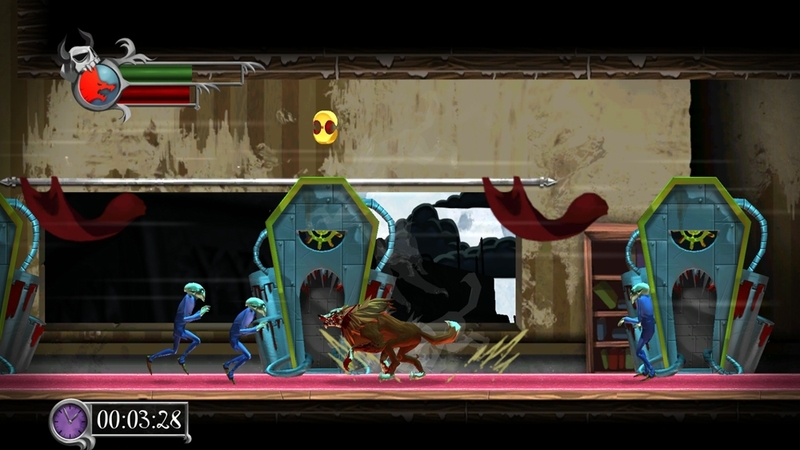 Players take control of wolfblood characters from the television series in runner-style gameplay. High-caliber military gunplay and the ability to morph into ravenous, bloodthirsty werewolves- together at last! Wolf Team is an online first-person shooter that allows players to swap between human and werewolf forms at any time during battles. 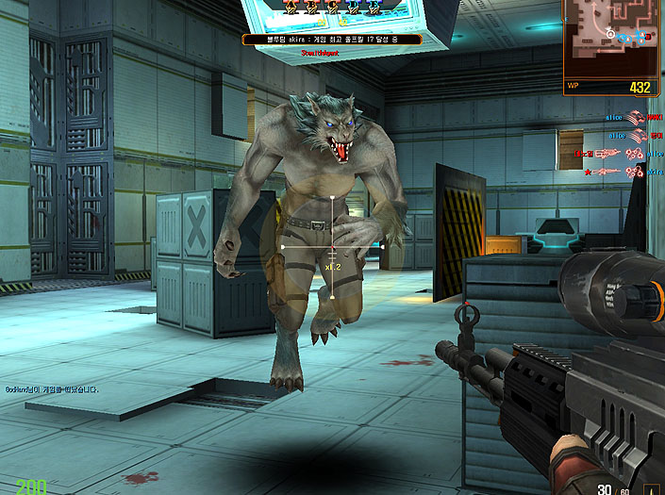 The game features several FPS gameplay mode mainstays, such as Conquest, Destruction, and Deathmatch, but the added spice of playing as a werewolf soldier mixes up the usual shooter formula. Fables is a fantastic series that takes the fairy tales and nursery rhymes from our childhood and brings them into a modern age. It has such an interesting concept: imagine that all of these magical characters and creatures are real, and they have been living in exile from their homelands for centuries, hidden by magic around our world. The majority of these characters reside in New York, living in a small community run by the mayor Old King Cole and deputy mayor Snow White. Nearly every children’s story has representation in this Fabletown, and they are policed by a single sheriff: the not-so-subtly named Bigby Wolf. 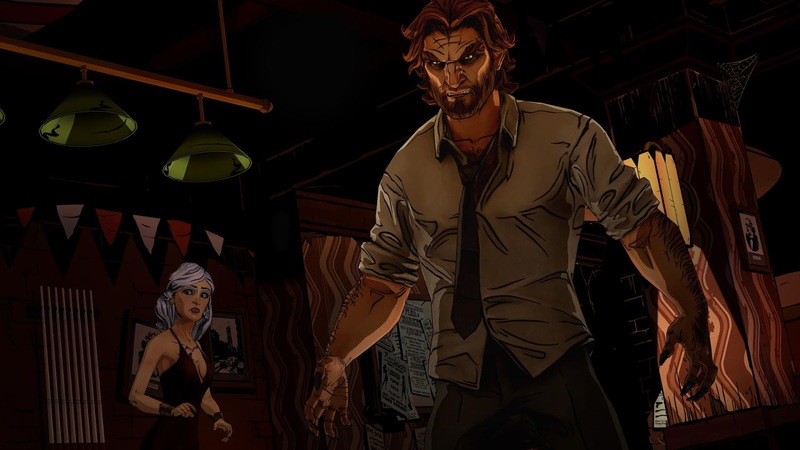 It is this gruff lycanthrope who is the main character in Telltale Games modern adventure title, The Wolf Among Us. Of all the games that Chip has found with werewolf protagonists, the clear winner for Laura’s new lycanthropic leisure will likely be Blood of the Werewolf. This game features action platforming gameplay, a colorfully spooky art style, and a badass werewolf woman as the protagonist. Pretty much the perfect formula for an evening in while waiting for the moon to rise.